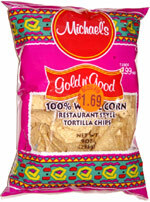 Taste test: These tortilla chips were large, cut into quarter-circle shapes. The chips were very curly (though not uniformaly shaped like Torengos or Tostitos Scoops), making them ideal for dipping. 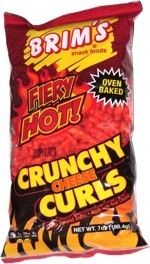 They were fairly crisp and had a good taste. I had them with some sour cream, fresh sliced jalapenos, and Trader Joe's Southwest Chipotle Sauce, and it was a great combination. Smell test: Very nice, strong corn tortilla chips smell.